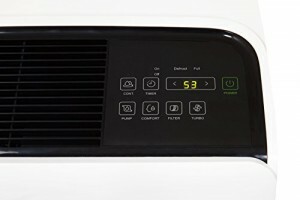 Whynter - RPD-951DXP : Dehumidifier Review • The Air Geeks, reviews of air conditioners, dehumidifiers and air purifiers. Whynter is a well-named brand! However, humidity in the summer is also a problem. This RPD-951DXP is a powerful humidity control system that is capable of pulling up to 95 pints of moisture from the air in 24 hours. This dehumidifier comes with a removable bucket that can hold up to 25 pints of water. In addition, the RPD-951DXP features easy-to-use controls that enable users to control the relative humidity of their rooms with ease and convenience. If you have been struggling to control the relative humidity of your house, then this dehumidifier may be the right solution for you. 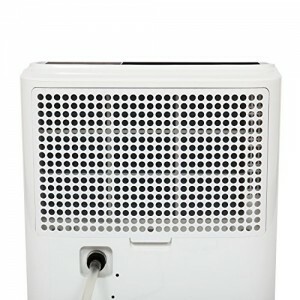 Are you looking for a suitable dehumidifier for your large office, living room, computer lab, or basement? If you are already considering this unit, then you are certainly looking for unbiased information about its performance. In case that is what you are looking for, then you have come to the right place. We, at the Air Geeks, have all the information that you need to decide whether this is the right humidity control system for your needs or not. To start with, we will explore its features. If you have been struggling to control the relative humidity of your medium-sized or large room, then you need a strong dehumidifier. The RPD-951DXP is a powerful unit that is designed to ensure that the air moisture in your room remains within your desired levels. This unit allows you to set the desired relative humidity level of your house between 35% and 85%. If you are intending to eliminate mold and mildew by creating an environment that is unsuitable for their existence, then this unit will help you to achieve that. Furthermore, it will help to protect you items from rotting and corrosion. The back of the machine! The RPD-951DXP features a large internal reservoir for holding the captured water. And, lo and behold, its internal tank holds 25 pints of water. In high humidity areas, this unit can fill this tank up to four times in a day. Since emptying the tank can be a cumbersome task, this high capacity unit features an inbuilt pumping mechanism that allows the system to pump the condensate up to 15 ft of vertical distances. This feature is necessary for basements and other spaces where the condensate cannot flow to the sink under gravity. The RPD-951DXP gives the user three drainage options: gravity drain, manual drain, and pump drain. In cold environments, there is a possibility of moisture freezing and hindering further extraction of water from the air. To prevent this from happening, this dehumidifier features an auto-defrost function. You therefore don’t need to worry that water will freeze in your dehumidifier and render it useless. The RPD-951DXP is also designed to deliver good performance without consuming excess power. If you are looking for a cost effective system, then this dehumidifier may be the right solution for your home. Are you looking for a humidity control system that you can easily move from one position to another with ease? The RPD-951DXP features caster wheels and integrated handles that enable users to move it with ease. In addition, this unit offers auto-restart, a 24-hour timer, and auto-shutoff : three functions that are much appreciated for a hands-off use. Because, seriously, who wants to meddle with a dehumidifier all day long? Offers three drainage options. This unit allows the user to drain the condensate manually, by gravity, or by pumping it to a sink. Effective auto-defrost function. The auto-defrost function prevents frost from building up inside the dehumidifier. High consumption of power. Although the manufacturer indicates that this unit is energy efficient, we have noted that it consumes a lot of power, 1030 Watts / 6.8 Amps. Considering its features, the consumption is reasonable. However, if you are looking for a unit that will not have an impact on your electricity bill, then you may need to think about another dehumidifier. Produces a loud sound. Just like most dehumidifiers, this unit produces a loud sound. It may therefore be an unsuitable option for quiet places such as bedrooms and offices. Went through 4 dehumidifiers for the house basement in less than 12 years. Finally a solid performer with all the bells and whistles!" Works great my basement which is 1800 sq feet - it brings the humidity level down to 45." In case you are looking for a high capacity humidity control system that pulls a lot of moisture from the air within a short time, then the RPD-951DXP may be the right solution for your dehumidification needs. Its three drainage option makes it a suitable choice for many applications. 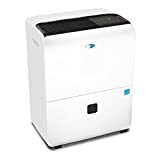 If you are looking for a system that can drain the condensate under gravity and offers a pumping mechanism as well, then this dehumidifier is designed to offer what you are looking for. To deliver its impressive performance, the RPD-951DXP consumes a lot of power. In case you are looking for a solution that will not have a significant impact on your electricity bill, then this unit may not be the right option for you. We have also observed that this system produces a loud sound that can be disturbing if it is placed in a quiet place. If you are comfortable with these demerits, then you can proceed and purchase this high-capacity dehumidifier. A good pick!